Here are all the Black Friday Silhouette deals. These awesome promotions end Friday, November 30th at the stroke of midnight, so make sure you stock up this week. 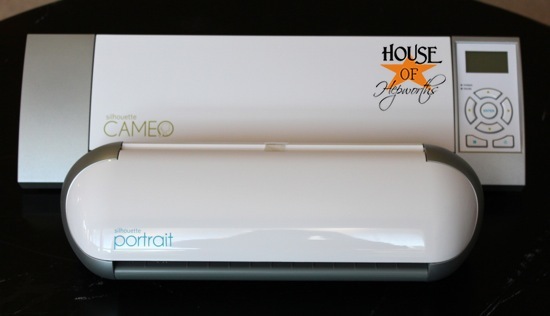 Get a Silhouette CAMEO® + 1 copy of Silhouette Studio® Designer Edition for only $229.99 (MSRP $349.98). Click HERE and use the code HoH4ever at checkout. Save 40% on this year’s limited-edition Advent Calendar Kit. It’s the perfect way to count down to Christmas—or any occasion. Click HERE and use the code BLACK at checkout. 40 percent off almost EVERYTHING. 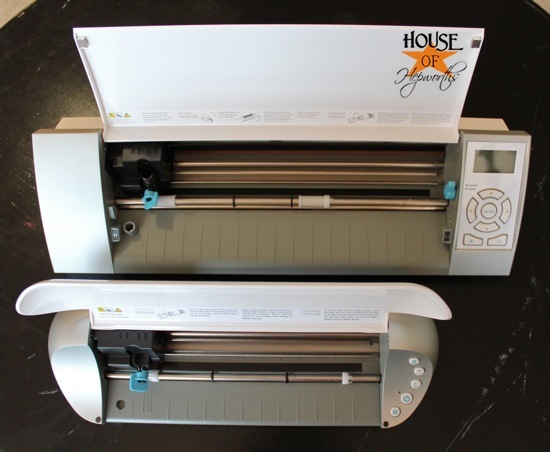 Stock up on vinyl, heat transfer, fabric interfacing, accessories, and anything else you may need. (Discount excludes Silhouette CAMEO®, Silhouette Portrait™, downloads, download cards, subscriptions, and gift cards. Rain checks not available.). Here’s the info on the brand new Portrait, why it’s pretty cool, and why you might want it over the super-popular CAMEO. You guys already know how much I love LOVE my Silhouette CAMEO. Well, Silhouette has now come out with a smaller version called the Portrait. 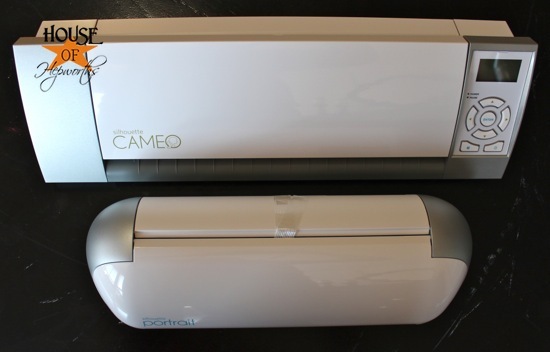 The Portrait is a smaller, lighter version of the popular Silhouette CAMEO® and is $100 cheaper. If you want a Silhouette but can’t justify the higher price tag, you can now get the Portrait for $100 less. The new Portrait is about 4″ shorter than the CAMEO and weighs 3 pounds less. The Portrait cuts up to 8″ wide and the CAMEO cuts up to 12″ wide. 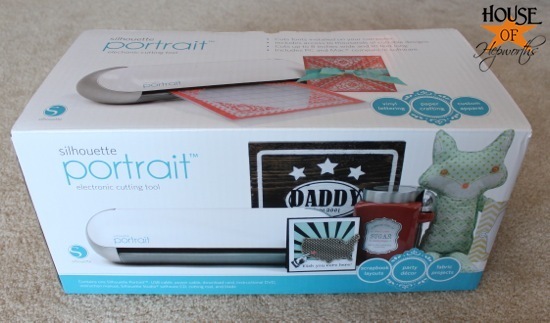 If you are a scrapbooker or card maker and don’t make huge projects, the Portrait may be a better fit for you. The Portrait still uses the same software as the CAMEO so if you have both you can switch back and forth between both machines. All your downloads will work on both machines. It is literally a smaller, lighter, cheaper version than the CAMEO. It works the exact same. To purchase a Silhouette machine or any accessories, CLICK HERE or on this image. Don’t forget to use the code HoH4ever at checkout. *Sale start November 23, 2012 at 12:00 AM Eastern Standard Time (EST) and end November 30, 2012 at 11:59 PM Eastern Standard Time (EST). 40% discount valid only at silhouetteamerica.com. Excludes Silhouette CAMEO®, Silhouette Portrait™, downloads, download cards, subscriptions, and gift cards. Rain checks not available. thank you so much for posting this! i am proud to say that i FINALLY got my own Silhouette CAMEO and a bunch of fun things to go with it and i could not be more excited!! You mentioned swapping between a Portrait and a Cameo. I have a Cameo, and hooked up a friend’s Portrait to my computer, now it only shows Portrait size. I know I can hook up my Cameo and it will adjust, but isn’t there some way to manually set it to Cameo or Portrait limits?